This is Part 5 of the Question and Answer Series. Luke, I want to know what you do for relaxing besides hiking and camping! Now, that in it self is enough, but just wondering? Gamer, football, Golf, fishing, you know? Luke, can you review or at least preview some, or 1 waterproof phone (the ones that are durable, have gps, can take a hit). Just want to know your opinion if you've researched something about them, which brands to look for, what features are useful on them. I kinda don't want to carry a separate gps unit + a phone, and was wondering if it is efficient to use a device that combines all of it. The main issue I guess, would be the not so long lasting battery. Overall, what are your thoughts on this? I like the idea of ultra light hiking and camping but I find that it is difficult replace my very comfortable backpack with a lighter one. I have tried a few different ways to go but a true soft pack does not seem to distribute the weight as efficiently. I know that they aren't all frameless but do they really perform as well for a load out of say 10 to 15 kg? Could you do a comparison between a more traditional backpack and a ultra light pack (max 1 kg)? 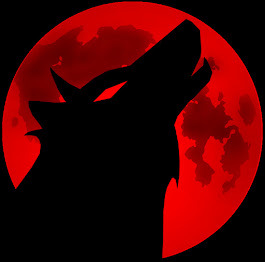 What do we have to do to get hold of a Lone Wolf Patch? I have a 30 mile hike through a section of the Appalachian Trail in NY this next friday and I'll be putting this Jacket to the test. I know it's not going to be cold enough to be using a Down Jacket around but at least I'll get to test the strength of the shell itself. Sorry for the long message but I hope this helps other people with a tight budget like me and who better than you to spread the word around. By no means I'm related to this store or get any commissions for sales or anything. I'm just a regular guy like all of you trying to get out there without breaking the bank. If you get to read this long post, thanks in advance. I'll keep answering the calling of nature! Cheers!